Fires are continuing to blaze across the Western United States at terrifying speeds and intensities. Though the majority of the devastation is confined to coastal states like California, larger fires are spreading into places like Colorado and Idaho. Recently, in August of 2018, a wildfire raged across Idaho, causing the National Weather Service to issue a Red Flag Warning across the northern and central Panhandle. Dry, breezy conditions have increased fire danger, and all those recreating in the forest were warned to utilize extreme caution. While wildfires can have devastating effects on both the environment and development, their impact on local watersheds is extensive. There are several ways in which wildfires can harm local watersheds; we’ve briefly detailed each in the space below. Ash and PAHs, also known as Polycyclic Aromatic Hydrocarbons, appear after a wildfire. They may also appear within car exhaust fumes or while barbequing. After a fire, these compounds will travel by air until they settle on the land or in the water. This can harm the water’s quality. If heat from a fire is lifted high enough, it can create its own weather and water cycle. This can cause lightning, which may create another fire in the same or within a neighboring watershed. The materials used in fire retardant can harm wildlife in and around the watershed. This can lead to a build-up of ammonia, phosphorus, and cyanide within the water table. Fewer trees may lead to increased snow build-up in the winter months. This will result in larger snow pillows, which may create higher peak flows as the snow melts, possibly contributing to flooding and/or mudslides. If trees are killed in a fire, there will be fewer opportunities for precipitation to be trapped and soaked into the ground. This will cause a higher surface runoff and increased erosion, which will both increase water quantity and decrease water quality. A large deposit of sediment, such as that experienced after a wildfire, can overwhelm and severely harm fish and aquatic habitats. Fire can destroy the vegetation which shades cold water streams. This can raise the water’s temperature over time and impact aquatic life. Increased turbidity—the cloudiness of the water—will require more chemicals to treat the water. Additionally, additional treatment requires will cause additional wear on treatment filters. Excess sediment and debris flow may also fill or disrupt reservoirs, infiltration basins, and treatment works. 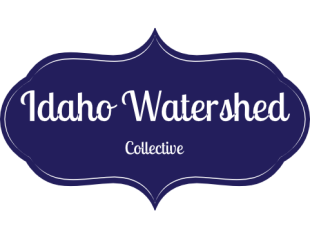 Idaho Watershed Guardians: Who Are They? A brief Google News search for “Idaho Watershed” will bring a few recent posts to the surface. Several mention ongoing wildfires, while others advertise a new place to pick up free compost. However, many make reference to one group in particular—the Idaho Watershed Guardians. If you have interest in the Idaho Watershed, particularly the Portneuf River Watershed, you may be aware of this group. If you haven’t heard of them, you’re not alone. The Idaho Watershed Guardians’ primary goal is to protect beaver within the Portneuf River Watershed. Beavers can wreak havoc on natural watersheds, flooding miles of land with just a couple of dams. The group provides resources for those interesting in managing beaver populations in a safe and respectful way. They also work to maintain habitats, educate the public on the role of beaver in the Idaho watershed, and manage beaver-related development decisions. The organization looks for opportunities to demonstrate ways to mitigate beaver-caused damage, hoping to inspire newfound respect for these animals. They have several ongoing projects and issues, are there are various ways for volunteers to get involved. Their current projects include road flooding, the impact of beaver on the East Form of Mink Creek, and their Macrobiotic Aquifer Recharge Study. If you’re interested in the group but would like more information, you can visit their website or attend the annual BeaverDamJam-Idaho in September. The event features live music and local food vendors. The Idaho Watershed Guardians also award funds for beaver-related projects; if you have experienced beaver damage, you may be eligible for a grant to rectify the problem. Above Average Water Levels but Below Average Snowpack—Why Does It Matter?